Here is my entry for the Unusual Alice Challenge at Poison Peas Please. 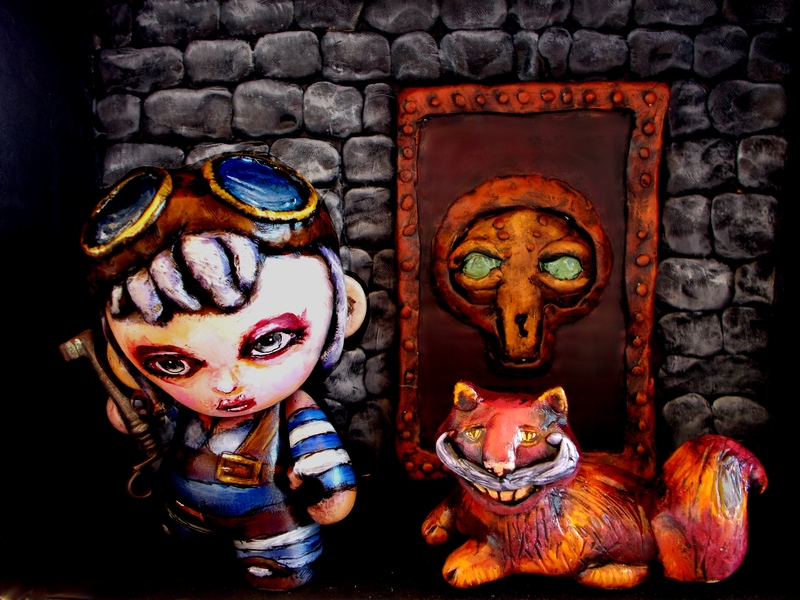 Alice is a mini-munny by Kid Robot. Sculpey clay and bottle caps make her hair hat and goggles. She holds a key we found in a desk we bought via Craigslist. 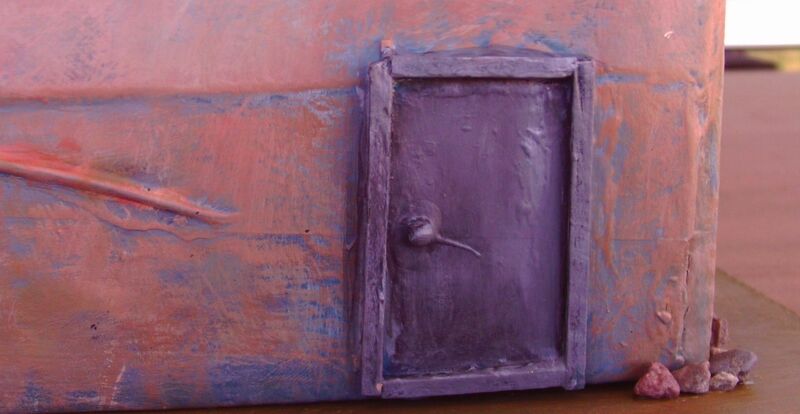 The Cheshire Cat and background are made using Sculpey. I used some knowledge I learned when making my dungeon. 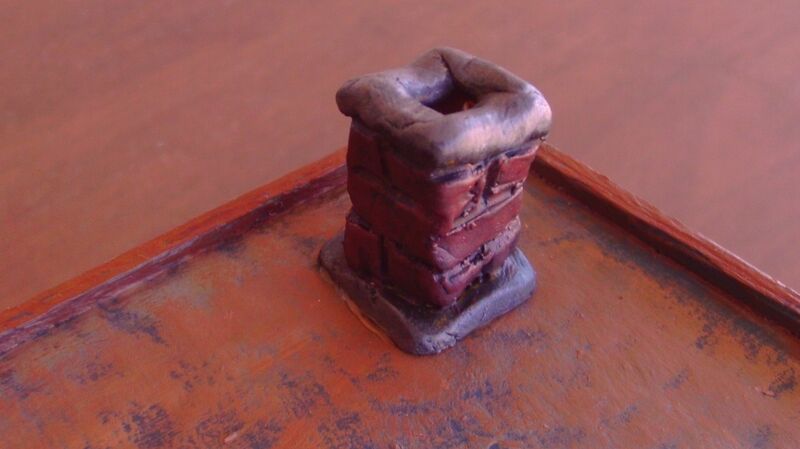 This is a prototype for some shrines I may make. I will learn some electronics to add lighting to them. I will probably add a proscenium and lighting to this so we may see it again. 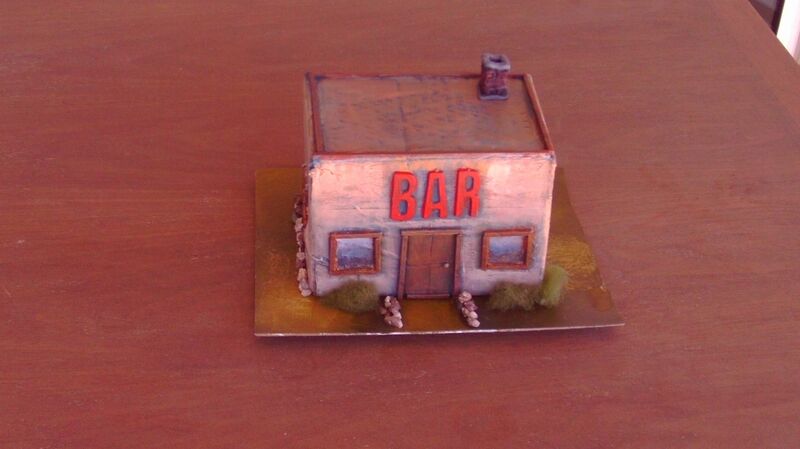 This is a miniature bar I made for my Champions game. 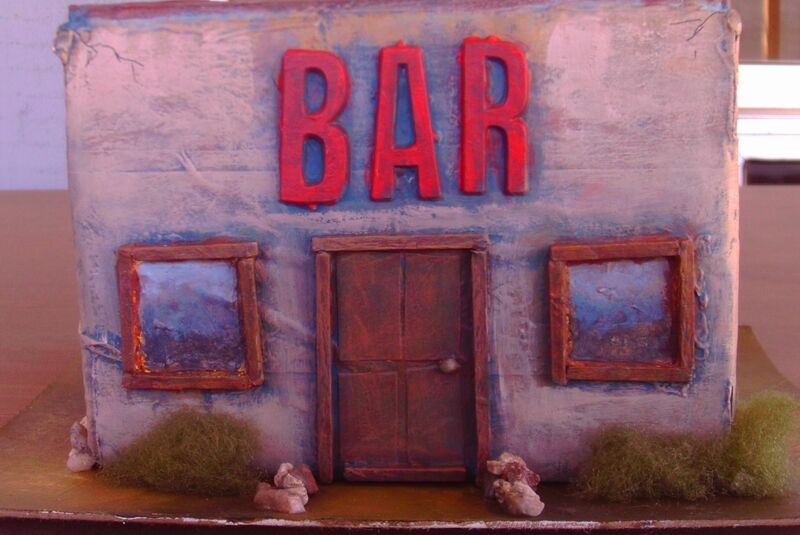 I used a cardboard box, sculpey clay, balsa wood and lotsa acrylic paint. Venturing back into artistic sculpture. More to come. 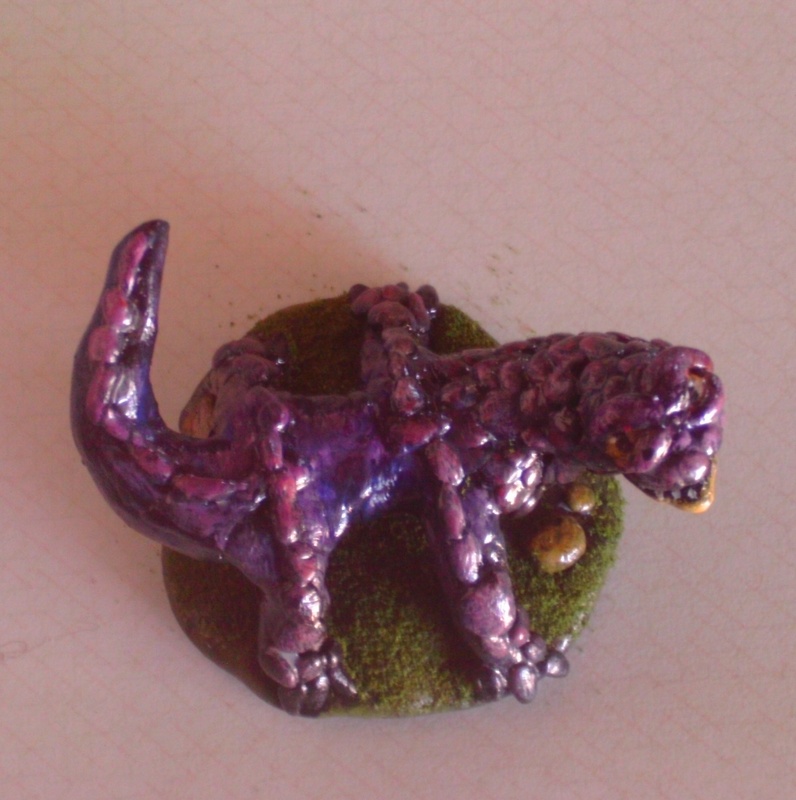 Purple Lizard polymer clay miniature. 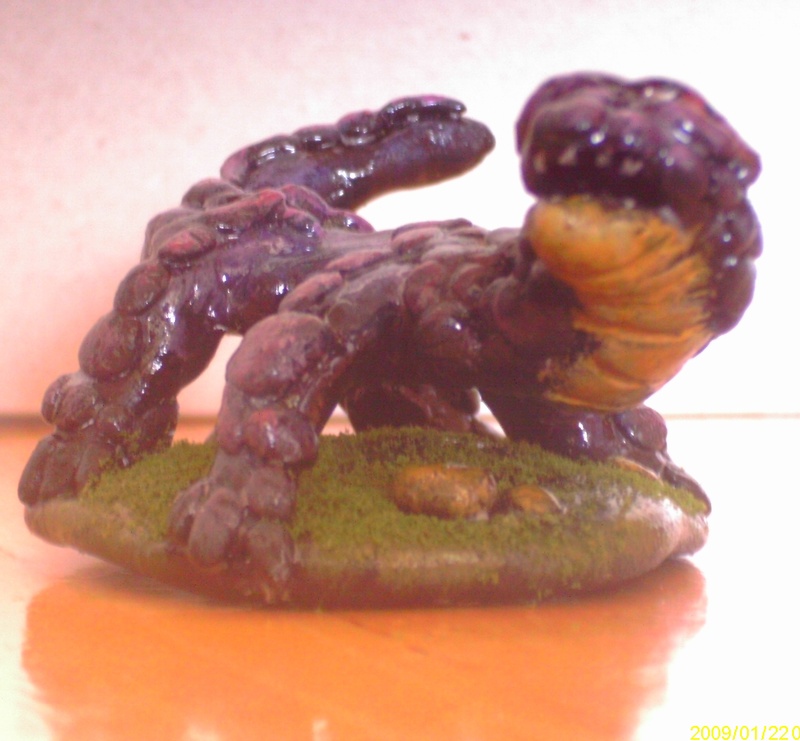 All you needs is Sculpey, some paints and some time and you can make a sweet lizard like this one. Using wire to make a skeleton greatly adds durability to your creations. 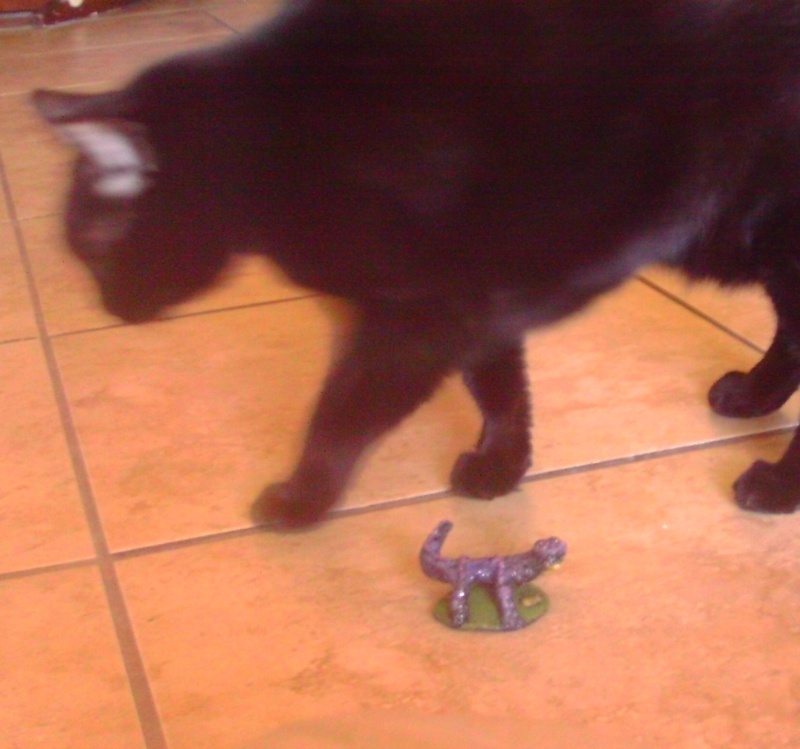 I use a dry brushing technique when painting miniatures. I paint the whole figure black and then add layers of color starting with darker tones and using very little paint on my brush. 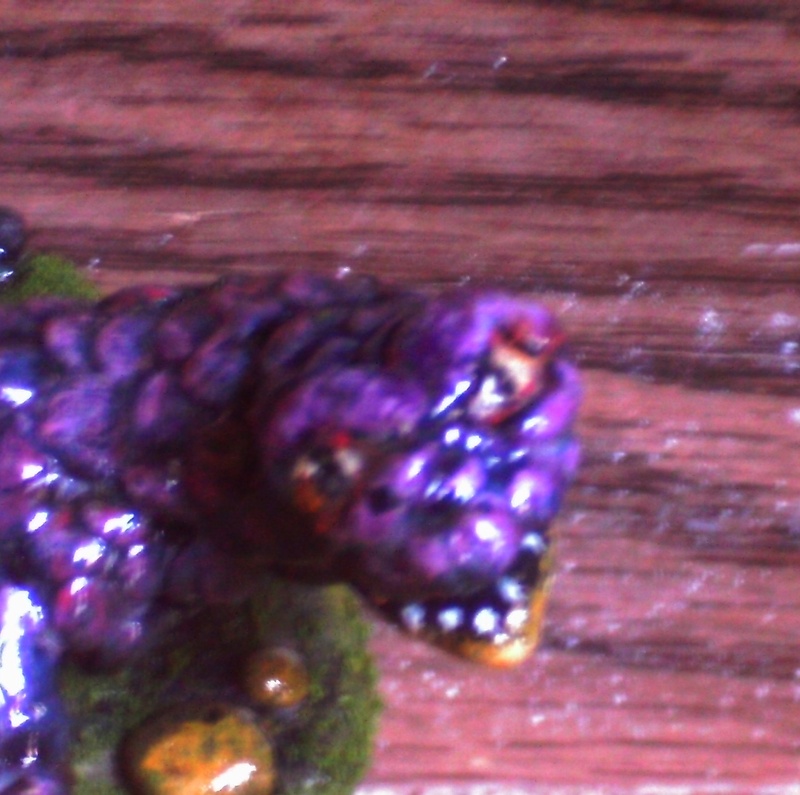 You can use watered down glue on the base of the figure and drizzle dry grass, sand or some kind of green powder on the still wet glue to make the lizard look like it is standing on grass. Adding a glaze to figure keeps the paint from flecking off and adds durability to the figure.